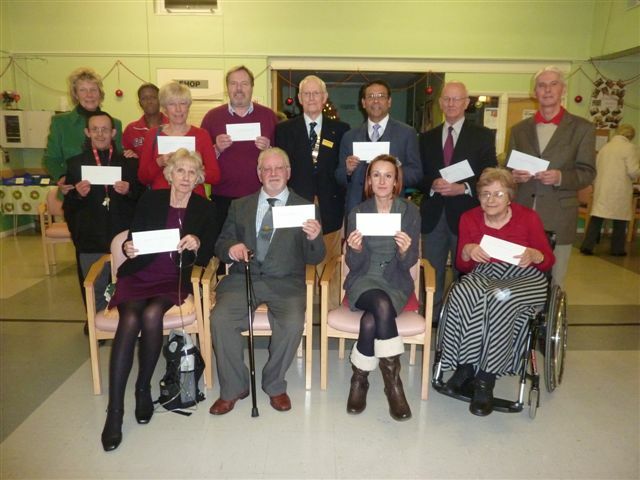 December 2012 – Pictured are the representatives of 10 local charities who were presented with cheques totalling some £4,000 at an evening meeting on 5th December 2012. This amount was part of that raised by the “On Your Bike” cyclists, in April this year. 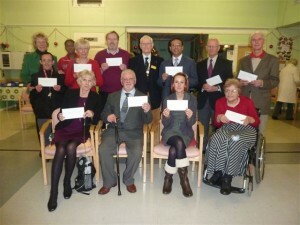 The EllenourLions Hospice in Northfleet has already received support from the ride. President Chris Wraight (pictured centre) said that ” each spring for over 25 years hundreds of Gravesham cyclists, supported by friends and families, have set off to help the sick and needy of our community. We in the Rotary Club of Gravesend are pleased and proud to be able to continue organising an event which has done so much for local good causes.